Since 2010, USAID and Glasswing International have worked together to provide youth with tools to make better life choices and discover their full potential, promoting positive alternatives to crime and violence. This has been a true cross-sector effort, engaging private companies, teachers, parents, and other members from these communities to participate in the programs. With the help of volunteers, 122 public schools have been rehabilitated and revitalized, which now represent safer and more stimulating environments for their students. Additionally, community volunteers lead after-school clubs that have been implemented in 47 schools across El Salvador, Guatemala, and Honduras. To date, this partnership has impacted the lives of more than 72,000 children and youth. Since 2016, FEMSA Foundation and Glasswing International have worked together to promote healthy lifestyles in communities throughout Central America. The program Campaña de Colores promotes the importance of eating well-balanced meals, personal hygiene, and recreational activities in order to encourage students, families, and teachers to take a proactive approach to health. In addition to educational workshops, the program holds inter-school sports tournaments, provides schools with water filters, and has mobilized dozens of volunteers to revitalize kitchens and school cafeterias as well as plant school gardens. 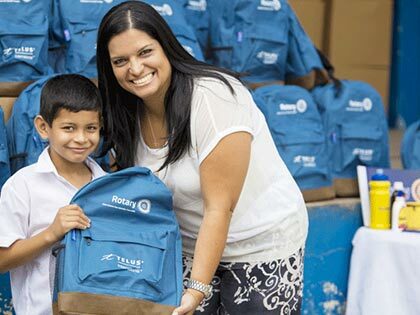 To date, the partnership has impacted the lives of 15,875 students, families, and teachers across 44 schools in Guatemala, Costa Rica, and Panama. Since 2011, Walmart and Glasswing International have worked in alliance throughout several municipalities in El Salvador in educational, cultural, and health initiatives. Over the years, the Walmart–Glasswing partnership has grown to include “extreme school makeovers,” nutritional education for families, as well as recycling programs and consumer rights educational training for youth. These efforts have provided invaluable support to 2,500 Salvadoran families, equipping them with tools to lead healthier and more united households. 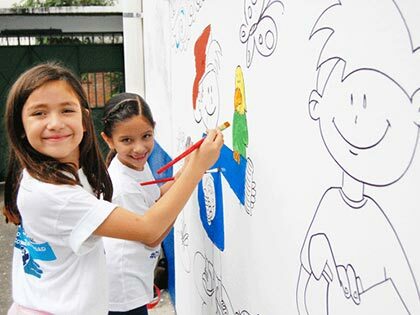 Since 2008, Chevron-Texaco and Glasswing International have worked together in two important areas of intervention: road safety and “extreme school makeovers.” A true regional initiative, the programs have taken place in El Salvador, Guatemala, Honduras, and Panama. To date, Chevron-Texaco volunteers have trained thousands of families in the importance of road and pedestrian safety in high-risk corridors, helping to reduce the high number of unnecessary fatalities caused by accidents; launched road safety campaigns; and participated in and participated in 53 extreme school makeovers impacting over 20,000 students. Since 2009, Glasswing International and HanesBrands, one of the largest employers in Central America, have collaborated throughout El Salvador and Honduras to improve public school infrastructure and lead after-school clubs to ensure a safer educational environment for students and provide them with complementary opportunities for learning, recreation, sports, and enrichment. Thanks to the help of 1,626 HanesBrands volunteers, more than 6,500 students have participated in after-school clubs. 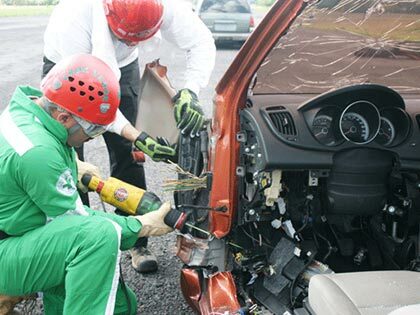 Since 2009, Johnson & Johnson and Motorola Solutions Foundation have partnered with Glasswing to strengthen the emergency response capacity in El Salvador, Guatemala, and Panama. As a result of this successful partnerships, and both Johnson & Johnson and Motorola Solution’s long-term commitment to saving lives, nearly 14,000 first responders, doctors, nurses, and community members have been trained in trauma and cardiac life support as well as disaster preparedness. These partnership and programs will expand in the region to include other Central American countries. Since 2009, Glasswing International has partnered with SAB Miller’s subsidiaries in El Salvador, Honduras, and Panama not only to revitalize public spaces through volunteer initiatives, and to create programs to build life skills and leadership capabilities in youth, but also to prevent underage drinking. This public health initiative also involves training youth peer leaders, community leaders, and teachers as well as vendors on the risks and consequences of underage drinking. More than 12,000 youth and community members have participated in this prevention program. 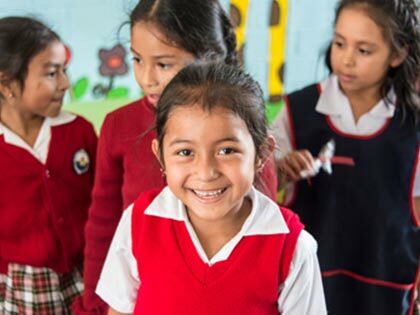 Since 2010, TELUS and Glasswing International have worked together to create a more structured and positive learning environments for students in two public schools in El Salvador, near TELUS’s offices. 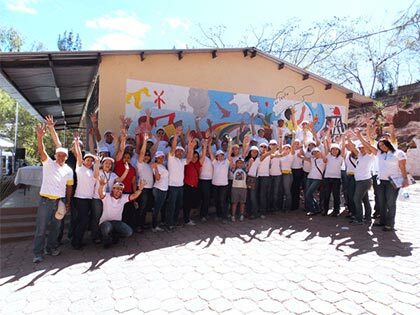 As a part of their CSR initiative, and with a strong desire to make a difference in their own community, TELUS employees have participated in six “extreme school makeovers” in El Salvador, including the construction of two large playgrounds. TELUS employees also lead year-round after-school programs each week and serve as positive role models for hundreds of children and youth. They provide educational, sports, and cultural enrichment opportunities to students as well as lead a special initiative for high school seniors called “Mi Primer Empleo.” These programs have benefited the lives of 800 students. Since 2014, BanPais/Napoleon J. Larach Foundation and Glasswing International have established a meaningful partnership that has benefited more than 2,000 young boys and girls in four schools in the cities of San Pedro Sula and Tegucigalpa, in Honduras. Additionally, brand-new interactive blackboards have been installed in each school to help facilitate new educational learning and stimulation techniques for the students. The participation of BanPais volunteers within the schools has helped increase the enterprise’s investment and dedication within each community. 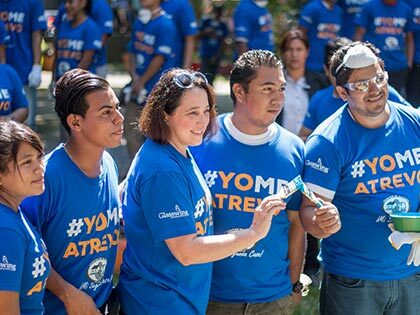 Citibank and Glasswing International have partnered since 2011 to mobilize thousands of volunteers and positively affect tens of thousands of people each year through Citi’s Global Community Day in both El Salvador and Guatemala. Citi and Glasswing also partner on a financial literacy and entrepreneurship program for Salvadoran youth, which has benefited more than 300 young women and men by promoting life skills as well as vocational, financial, and job readiness training. The program has particularly focused on young women (adapted from a model developed by the Population Council) and includes weekly peer-based mentoring that builds both their social and financial skills, enabling them to realize their full potential and change their own communities.